Foyer Display of David Austin Roses, Hydrangea, Kale, Dahlias, Scabiosa and Mint. 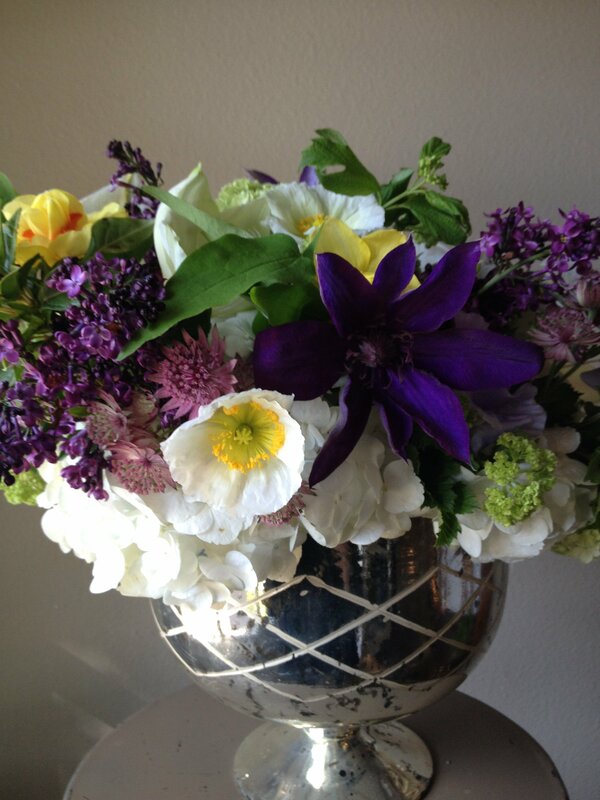 Lilac, Viburnum, Daffodils, Clematis, Icelandic Poppies and Hydrangea in silver stemmed bowl. 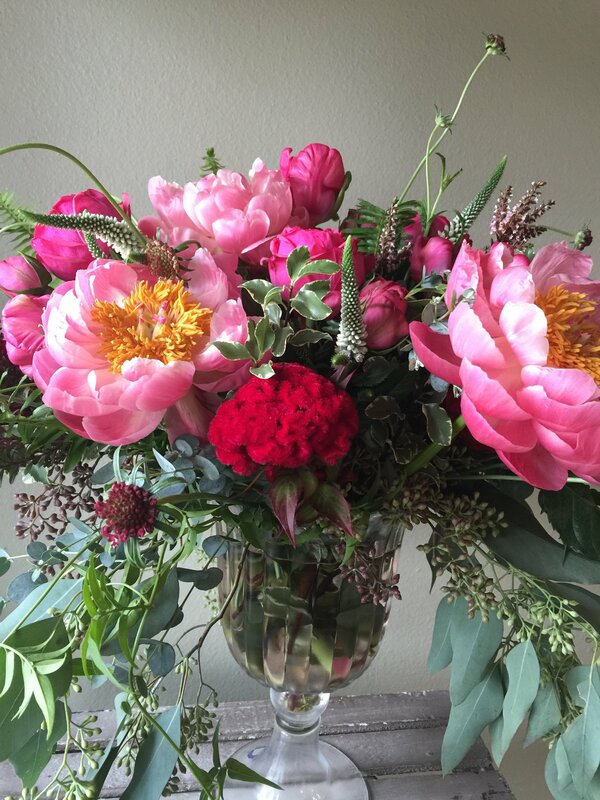 Watermelon Peonies, Celosia, Veronica, Parrot Tulips, Scabiosa and Eucalyptus in pedestal crystal vase. 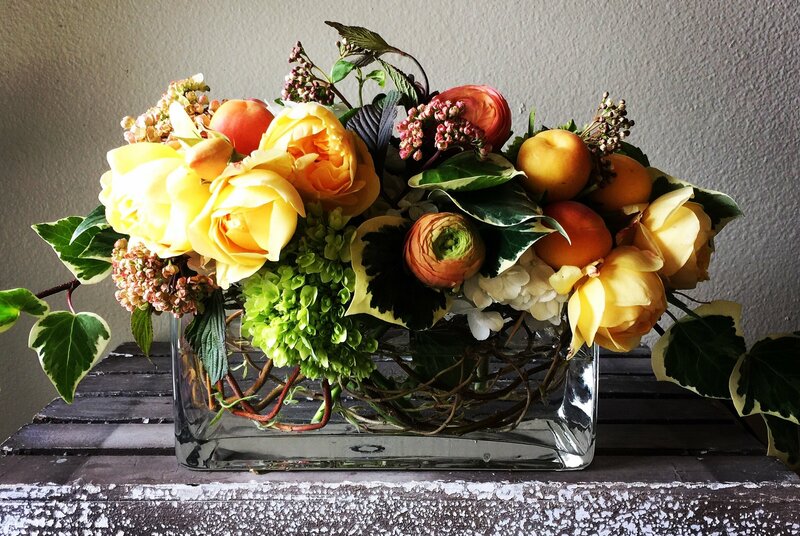 Apricots, Catalina Ivy, Viburnum, Hydrangea, Ranunculus and Garden Roses in glass rectangle. 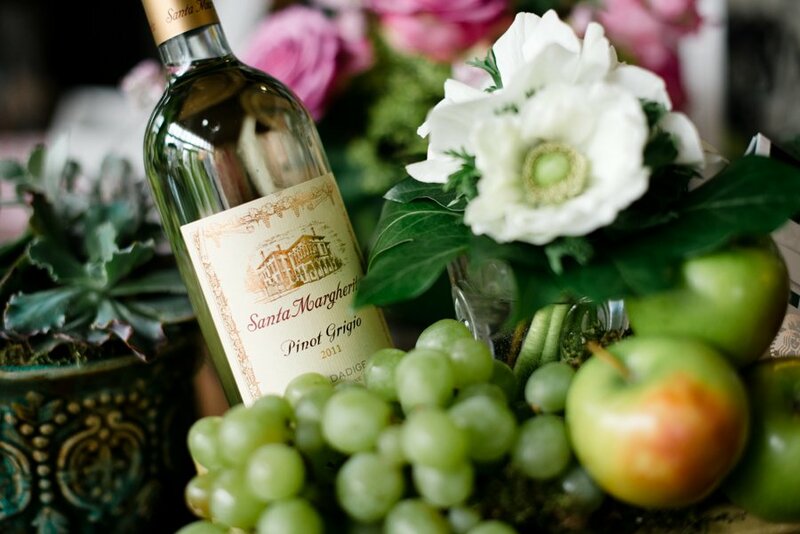 Gift Baskets with wine, fruit, coffee, cookies, candy, and flowers. Anything they love, we can do! 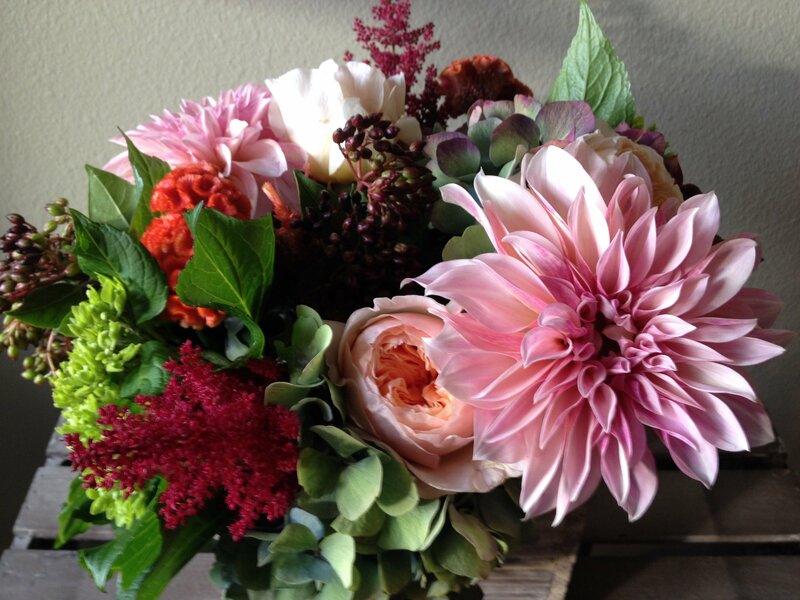 Cafe au Lait Dahlias, David Austin Juliet roses, Astilbe, Viburnum berries, Hydrangea and Celosia in wood box. 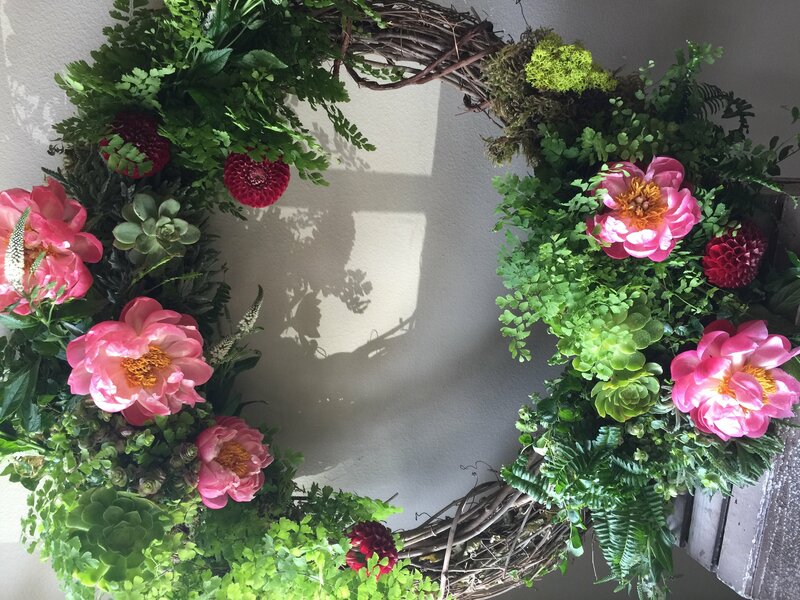 36″ Wreath Grapevine with Maidenhair Fern, Herbs, Creeping Fig, Moss, Peonies, Dahlias & Succulents. 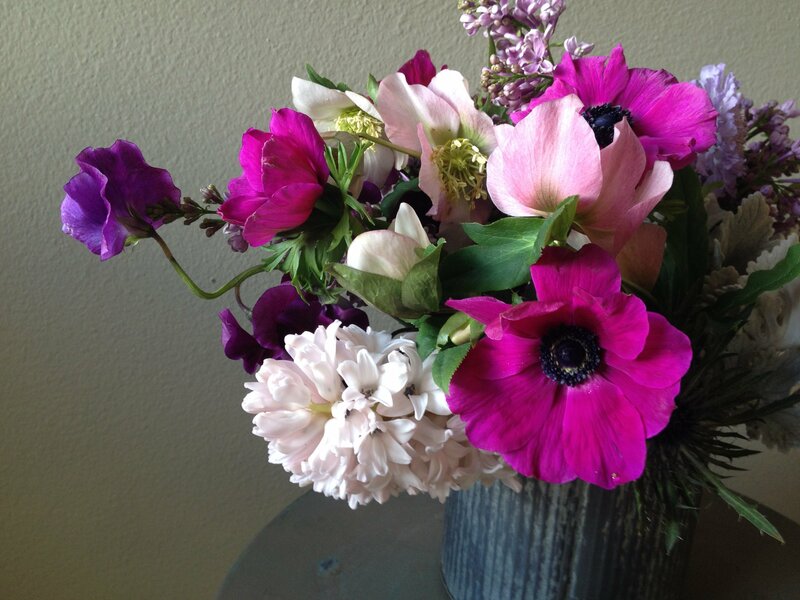 Hyacinth, Anemones, Sweet Peas, Lilac, Hellebores and Dusty Miller in weathered galvanized tin. 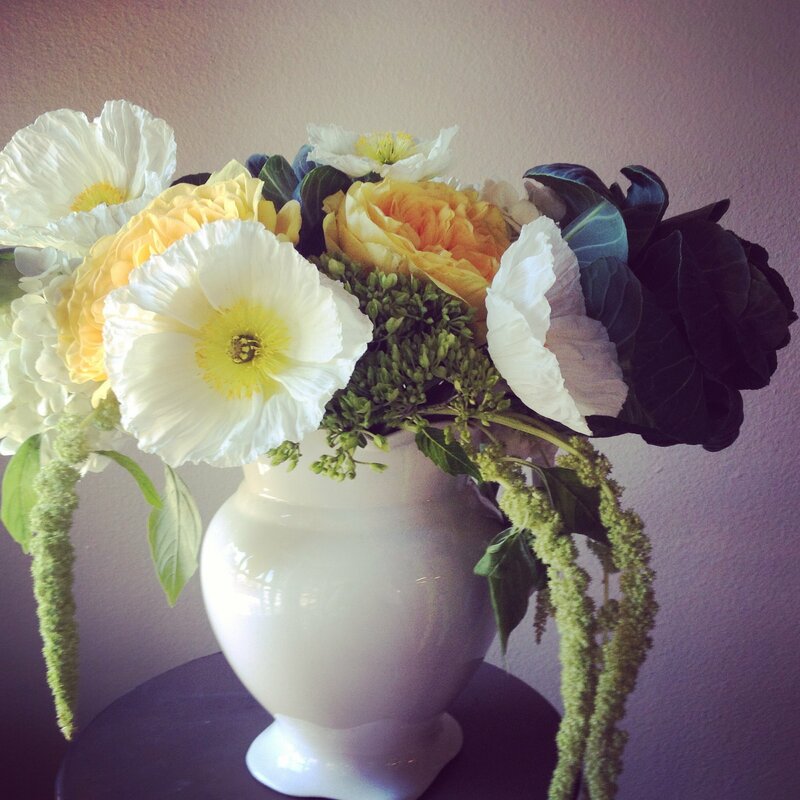 Icelandic Poppies, Hanging Amaranthus, Kale, Hydrangea and Garden Roses in ceramic pitcher. 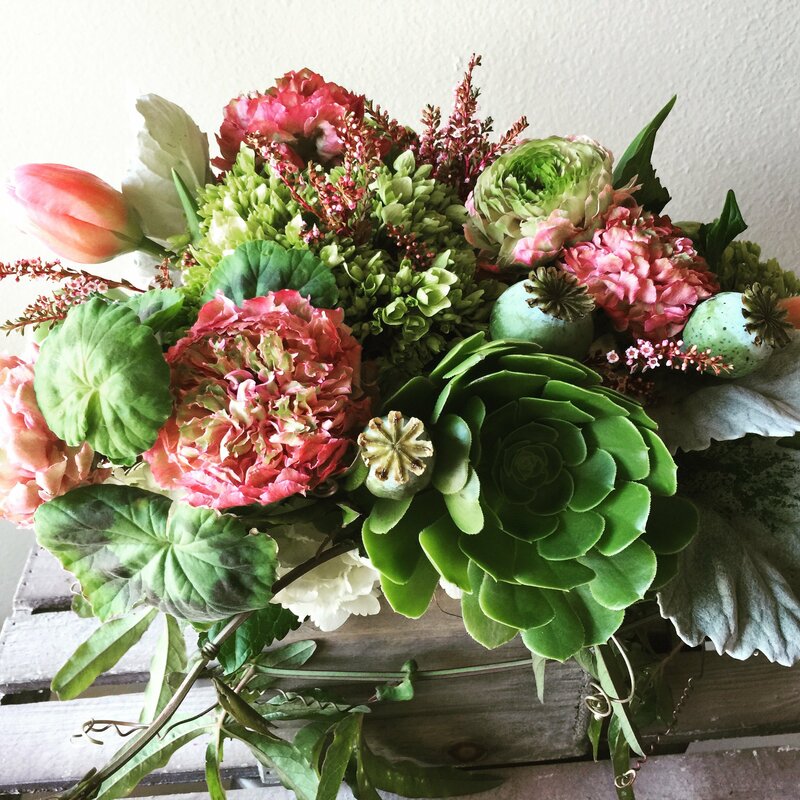 Hybrid Ranunculus, Hydrangea, Tulips, Poppy Pods and Succulents wrapped with Passion Vine in birch box. 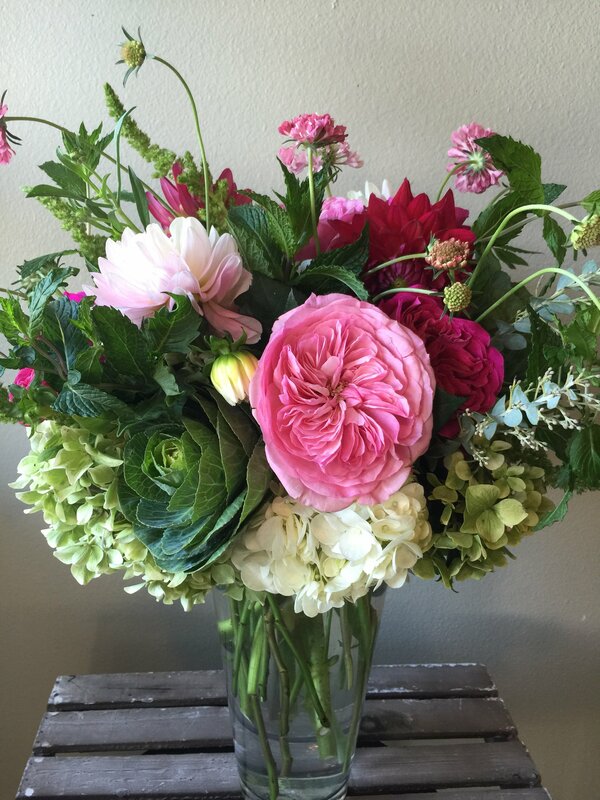 Our vases, ceramic urns and organic vessel selections change weekly in an effort to keep it fresh and current. Please call one of our artisan designers to discuss the availability of our premium cut stems and original design options. Though we can’t guarantee an exact match to our images, we can guarantee all our florals are exquisite, fresh and designed with uncompromising quality. Always guaranteed!